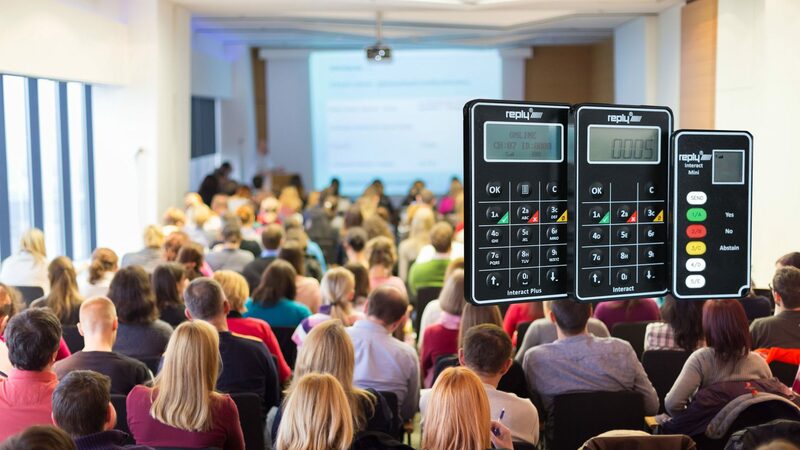 The Reply® Interact Pro keypad or clicker is a "credit card" style keypad, using re-chargeable batteries to provide greater speed and range than any other keypad in the same class. With 10 standard buttons for user input (1-10 (0), A-J, Yes/No/Abstain), plus 4 other command keys and support for up to 2000 keypads per base station, it is the perfect size for meeting applications. It includes a dot matrix LCD which confirms the user key presses and inidicates response confirmation as well as enabling the display of pre-loaded candidates for elections or batch voting and receiving of text up to 140 characters. 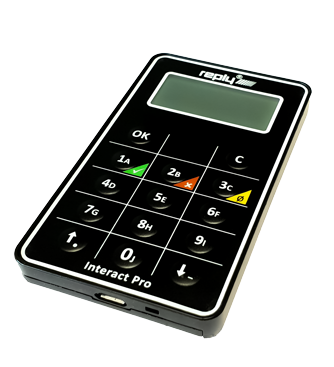 The Reply® Interact Pro, compact and lightweight, is ideal for all events large or small, especially shareholder/AGM meetings, Trade Unions/Association Meetings and all manner of candidate elections. Ultra slim “credit card” style case with membrane style keyboard and LCD. Weight: 38g (1.34 ounces) with batteries installed. Fits easily in the palm and may be comfortably worn with an optional lanyard. Two-way radio employing a special RF Protocol for the keypads that ensures Data accuracy. Works reliably within other 2.4GHz environments such as Wi-Fi, PDA or mobile networks. Works with Reply® Interact Models RPI1000 and RPI4000 base stations. Allows drop-in use with many Reply®-compliant software applications. Infowhyse sells its Reply® family of products through a variety of distribution channels, dependent on the product and your location. We invite you to contact us for further information, a quotation or a reseller referral. How many Keypads are you looking for?